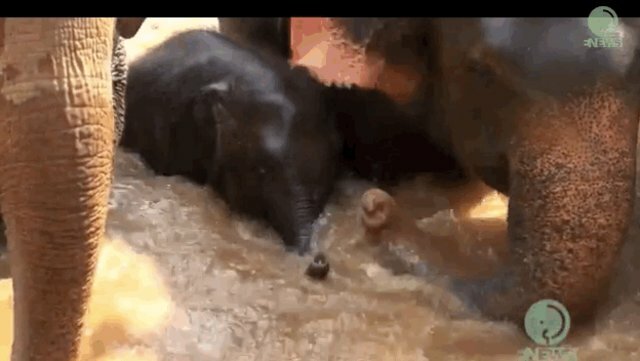 At the Elephant Nature Park in Thailand, a group of nanny elephants stand and a baby took a nice bath in the river -- but the currents were a little bit strong for this little pachyderm. 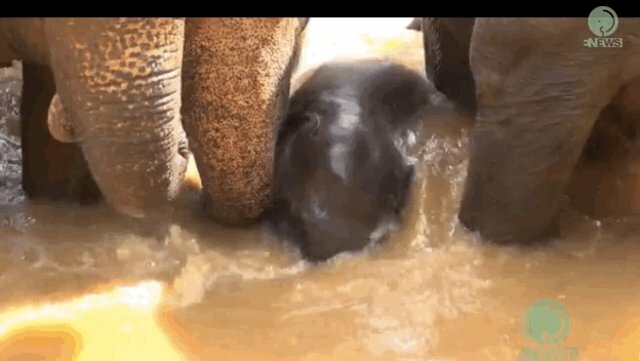 Luckily, his nannies helped to stand strong around him and keep the forceful water at bay. Trunks come in pretty handy when you're barely taller than the water-level! And, it's pretty nice to have a strong family group who always has your back!